Due to successive Western Disturbances up in the Western Himalayas along with induced Cyclonic Circulation, winter rains were witnessed. Thus, the northern and central parts of the country witnessed extended winters this time. However, just before Holi, the mercury over northern parts of the country including Delhi and NCR are witnessing a steep rise in day temperatures. This Holi, most parts of the country would witness dry and sunny weather conditions. Looks like it is the ideal weather to celebrate Holi. However, parts of Jammu and Kashmir, Himachal Pradesh, Uttarakhand as well as northeast India might witness one or two light to moderate spells of rain and thundershowers. Let us have a look at the weather conditions on Holi in major cities of the country. Delhi: The national territory, Delhi in the past 24 hours has witnessed a sudden spike in day temperatures. The mercury has crossed the mark of 30°C. Now, we expect the day temperature of Delhi to be around 32-33°C on the day of Holi. The minimums would be cool and pleasant hovering around 16°C-17°C. Sky would be clear with few patchy clouds in between. Mumbai: This is one of the direst months for Mumbai. We expect clear sky and bright sunshine with warm and humid day. The maximums would settle around 32°C with minimums somewhere around 20°C. Westerly winds with a speed of 15-20 kmph would continue to blow over the city. Chennai: Warm and humid weather conditions would be witnessed over Chennai on the day of Holi. Maximums would touch upon 33°C. Morning and night will be warm as well with mercury touching the mark of 25°C. The experts have to say that southeasterly moderate winds with a speed of 15-20 kmph would continue to blow. Kolkata: This city has been witnessing rain and thundershower activities in past days and now the skies have become clear. Day temperatures would be around 34°C and days will be warm. Scattered clouds are also expected with minimums settling around 24°C. 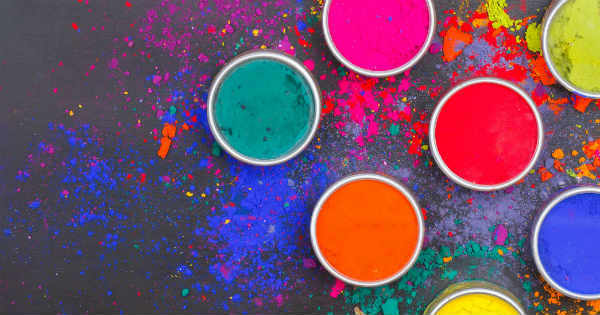 Looks like it is the perfect day to celebrate the festival of colours. Bengaluru: Sky over here would remain clear with isolated patches of clouds. Day temperatures to remain marginally above normal. Day might become very warm with maximums touching 34°C. However, morning will be pleasant with minimums around 21°C. Hyderabad: Day will be very warm with few clouds. Day temperature would touch 37°C wherein the minimums will be around 23°C. Sky might be partly cloudy for short duration but celebration of Holi won’t be hampered. Chandigarh: The beautiful city might experience partly cloudy to cloudy weather. Day to remain pleasant with maximums settling somewhere around 27°C. Night would be cool with minimums around 14°C. A pleasant Holi lies ahead for Chandigarh people.